Designed to take care of your storage needs while maintaining a sleek and contemporary look, this chest with five drawers features hidden finger tip pulls for a minimalist look. It also includes full extension glides to make it easy to open and close drawers as you access your clothing. 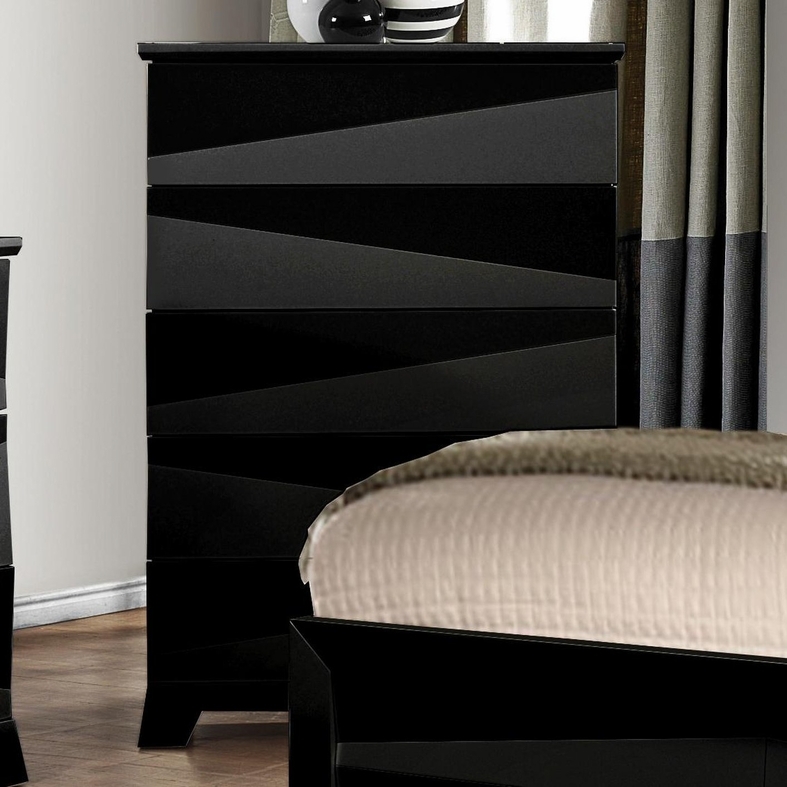 The English dovetail construction on the drawers plus felt lining in the top drawer offer strength and sophistication to your bedroom storage.